Corvallis is home to Oregon State University (OSU). Oregon State is investing in a better future by focusing on three signature areas of research and teaching: earth systems science, human health and wellness, and economic and social progress. As Oregon’s largest public research university, Oregon State attracted $261.7 million in research funding last year. Oregon State is also one of only two land, sea, space and sun grant universities in the United States. With nearly 25,000 students from all 50 states and more than 80 countries, Oregon State welcomes a diverse student body that’s known for its friendly, close-knit community. OSU contributes greatly to the Benton county workforce. 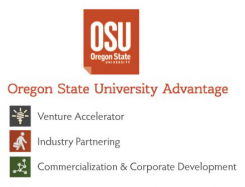 Oregon State’s focused resources for Business Success are in their OSU Advantage Program. OSU enrolls approximately 24,980 students and employs approximately 9,280 people. OSU serves as Oregon’s leading source of basic applied research in forestry, agriculture, fisheries, engineering, electronics, home economics and the sciences for the development of human, land, atmospheric and oceanic resources. It is considered one of the nation’s leading research universities. 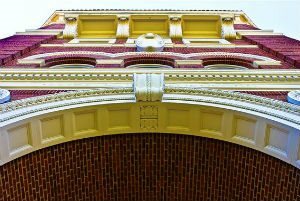 Oregon State helps make Corvallis consistently rated in the top 10 college towns.